Evaluation of the melting temperatures of two Co–C and two Pd–C eutectic-point cells were performed using three Pt/Pd thermocouples constructed at LNE-Cnam and NMIJ. During the comparison of cells, Pt/Pd thermocouples were evaluated at the Ag fixed point, at which their drifts and inhomogeneity represented differences within 0.03 °C and 0.14 °C, respectively. One Co–C cell and one Pd–C cell were designed and constructed at LNE-Cnam, while one Co–C cell and one Pd–C cell were designed and constructed at NMIJ. In spite of differences in cell design and in materials sources, melting points of Co–C and Pd–C eutectic-point cells realized using LNE-Cnam high-temperature furnace agreed within approximately 0.02 °C and 0.01 °C, respectively. Furthermore, the realizations of the Pd–C eutectic point at LNE-Cnam and NMIJ agreed within a temperature equivalent of approximately 0.11 °C. 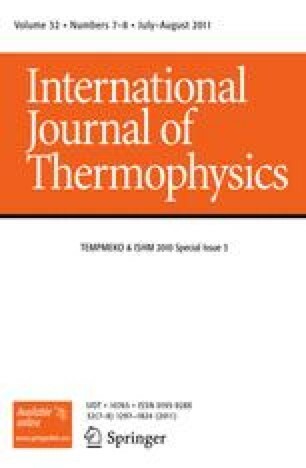 The uncertainty of the realization was estimated to be approximately 0.14 °C (k = 2), with a major contribution from the inhomogeneity of the thermocouple.